Is there anything more American than a hot dog at a ball game? 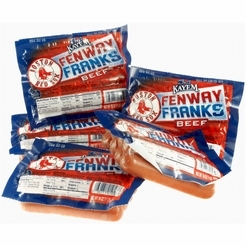 With that in mind, there’s likely nothing more “New England” than an official Fenway Frank at Fenway Park. Can’t make it to the park this year? 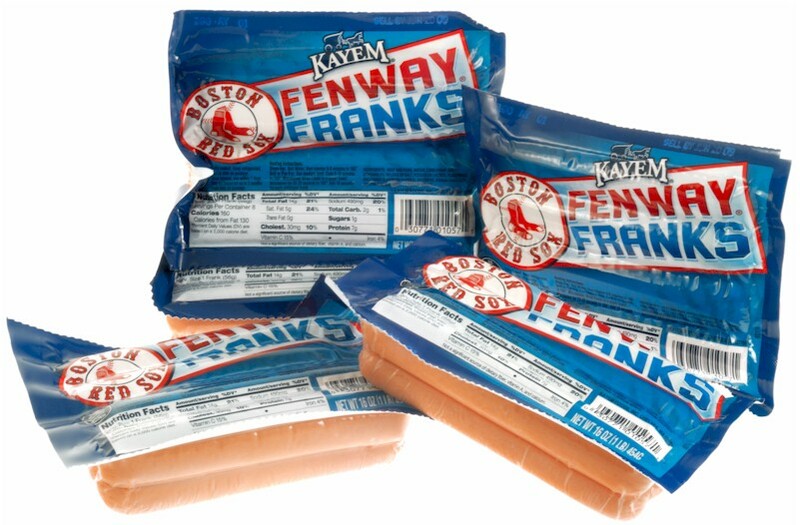 Make sure your cable package has NESN and place your order for Kayem’s own authentic Fenway Franks. One bite and you will feel like you’re sitting behind home plate staring out at the Green Monster as the Sox play the Yankees. 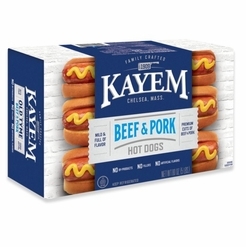 Kayem only uses the very best cuts and the right amount of spices that New Englanders love. 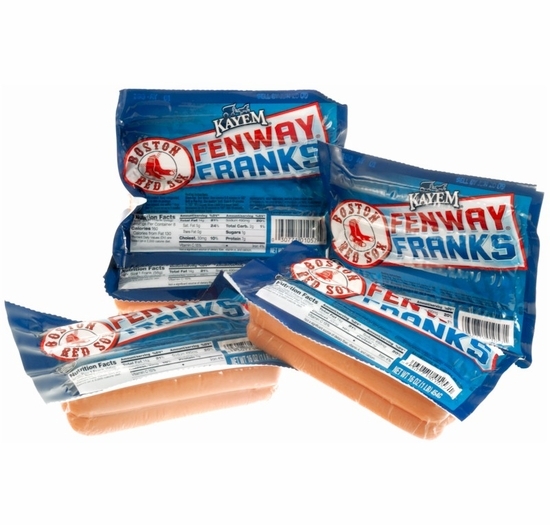 Be sure to complete the look with our split top New England style hot dog buns and Cain’s condiments. 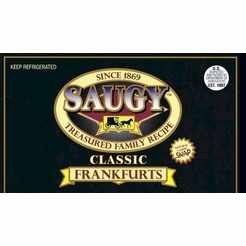 Eight franks per package (5 Packages = Total 40 franks). Before ordering, please refer to the Special Shipping Requirements. Ingredients: beef, and pork, water, corn syrup, contains 2% or less of salt, potassium lactate, flavorings (including extractives of paprika), dextrose, sodium diacetate, ascorbic acid (vitamin C), sodium nitrite. Special ordered product. Please allow 1-2 business days for shipping. 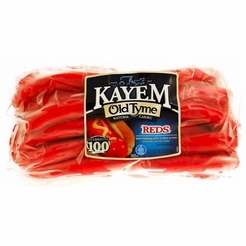 Days to Ship: If you are ordering Kayem products you must select Two Day or Next Day shipping. We only ship on Monday, Tuesday, and Wednesday to ensure your order arrives by Friday and does not get hung up in transit over a weekend period. Minimum Order: We require a 5 lb. minimum of perishable items. 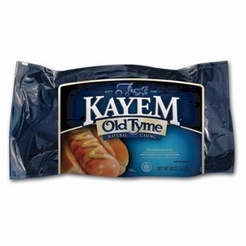 You may combine Kayem products with other perishable meats such as Gaspar’s to reach the 5 lb minimum. Shipping Method Required: This product is packed for UPS 2-Day Ground Shipping to ensure that meats arrive to your destination within 48 hours. Your order is shipped in super insulated boxes with sufficient cold packs to keep your order cool during the entire shipment. Please arrange to have someone available to receive your order from UPS at the address you specify and refrigerate order immediately upon receipt. If your area is experiencing hot weather, we strongly recommend you choose the UPS Next Day shipping option. Meat orders cannot be gift wrapped. *Please note that we are not responsible for delays in shipment outside of our control (i.e. snow), an incorrect shipping address, or if you are not available to accept your delivery. Although we instruct UPS to leave your order at your door without signature, please arrange to have someone available to receive your order from UPS at the address you specify. FamousFoods.com is not responsible for delays in receipt should UPS at its discretion not leave your package for security reasons or any other reason at an unattended shipping address you specify.